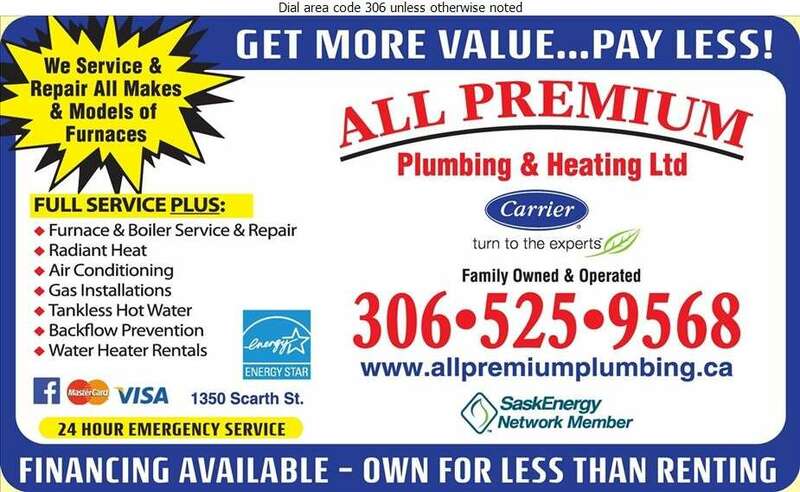 All-Premium Plumbing & Heating is a family owned business in Regina. We specialize in all aspects of plumbing, heating, furnace repair, service and replacement, boilers, air conditioning, gas installations and more. We sell and service Carrier Energy efficient products that carry the Energy Star Rating. Additionally, we sell and service all makes of plumbing products including American Standard, Crane, Delta, Moen and Kohler. We pride ourselves on the quality of work we do as well as the fair pricing we offer.